I passionately believe that living a zero waste and minimalist lifestyle is something to strive for. It’s rewarding, fun and fulfilling. We live on a beautiful planet and must do what we can to protect it. These lifestyles provide challenges that encourage our creativity and build resilience; they teach us that as individuals, we can make a difference. 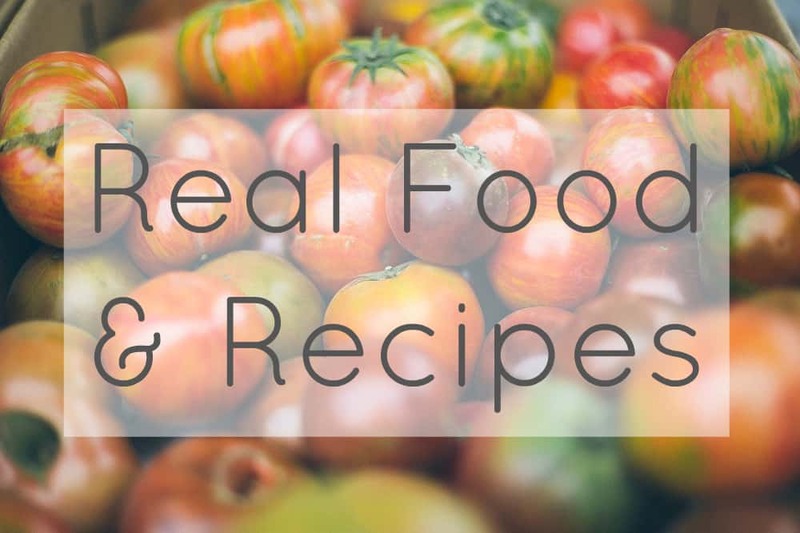 They reconnect us with the seasons, the local economy, with real food… and with each other. There are beautiful communities of people all over the world passionate about the idea of living with less. Simplifying and letting go of excess gives us time to spend doing the things that are truly important to us, and increases our happiness. These are the reasons that I love this lifestyle; they are the reasons that I use to try to inspire others to join in. Money-saving is not among them. Here’s why. 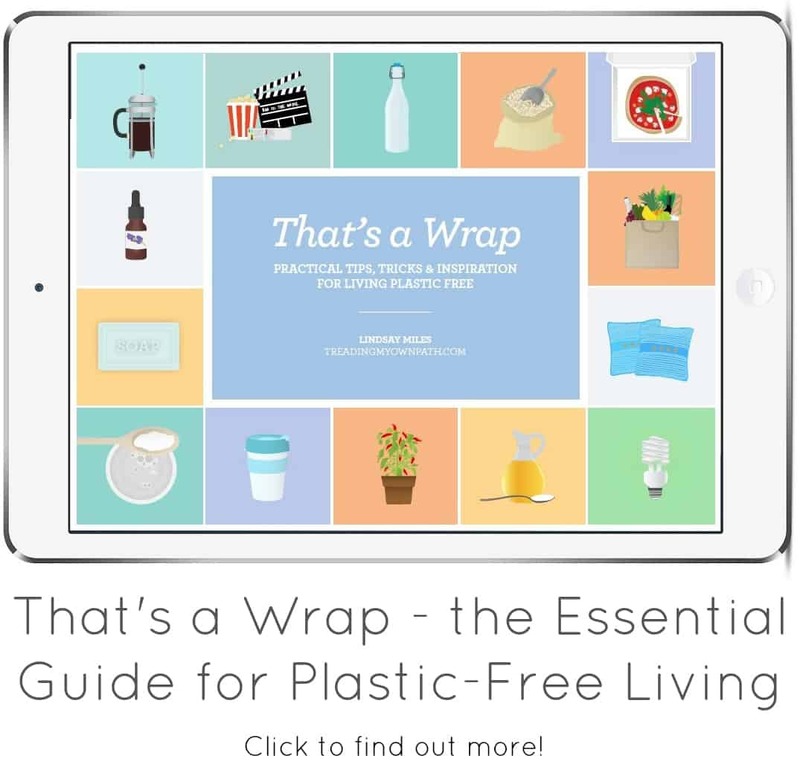 When I stopped buying plastic in 2012 I never realised quite how life-changing it would be. For the first time, I began to question the choices I made unconsciously. I looked at my habits (such as the places I shopped, the stuff I bought and the reasons I bought it) and asked myself if they were in line with my values. If I cared so much about the planet, why was I buying all this single-use packaging that created an enormous burden for the environment? If I believed in the local economy and the importance of supporting small independent businesses, why did I tend to shop at the supermarkets and department stores? Somehow these behaviours had sneaked into my routine and become habits… and I was determined to un-learn them and create new ones that were aligned with the changes I want to see in the world. The benefits that came were enormous. There’s a real satisfaction that comes with supporting businesses whose values align with your own. It feels good to care about something and know the choices you make (and the actions you take) are strengthening that cause, not weakening it. I reconnected with my local community and met some amazing and inspiring people. I stopped buying junk and processed food; I stopped being such a sucker for marketing and buying the “special offers” or shiny new products with the tempting packaging. I started buying real food that was nutritious and good for me. More whole foods, more fresh vegetables and lots of actual ingredients; less refined carbohydrates, less sugar and no synthetic preservatives. I cooked more from scratch and found I loved the creative process and journey of discovery: there are lots of things you can make at home quickly and simply. My health and energy levels improved dramatically. I also ditched the chemical-laden toiletries and cleaning products with unreadable ingredients, removing a lot of the clutter from my bathroom in the process. I sought out natural alternatives that came without all the packaging, or made my own (deodorant, toothpaste and cleaning products). I reduced what I used down to a few products that have multiple uses. Aside from cooking, and making personal care/cleaning products, I’ve learned a lot of other new skills. How to compost, grow veggies, how to sew (okay, I’m still on the very basics with that one). How to see beyond the greenwash and find answers rather than believing without question; how to get involved with local community groups, even how to use social media to share as I learn. I’ve discovered a love of writing that motivates me every day to share my story and spread the message – you can live a happy, fun and fulfilling life in a way that doesn’t harm the planet. As part of this journey, I learned to simplify. I figured out what was “enough” and let go of the excess. I found contentment with what I have, rather than chasing the next thing, or thinking “I’ll be happy when / if….”. I no longer go to the shops when I’m feeling down to buy stuff I don’t need: I go for a walk outside, or chat to a friend, or cook up a storm in the kitchen (well, usually it looks like a storm has passed through when I’m done). That’s what makes me happy. What it all comes down to is living a life in line with my values. I value nature and the environment; social justice and equality. I value being able to nurture my creativity, look after my health, and help others. Not only do I value these, but I find happiness and fulfilment in pursuing a life that is in harmony with them. This is why I find this lifestyle so immensely rewarding. I want to help others reconnect with their values too: figure out what they care about, and live a life that’s aligned to that. This is why I don’t talk about money-saving. I don’t think it fits. I don’t think it’s the reason that we pursue zero waste or minimalist lifestyles, and I don’t want to use it to try to encourage others. Talking about money-saving makes me uncomfortable, because wealth is not a value I want to promote. I’ve made decisions in the past based solely on money, and I’m not proud. I know that they weren’t the right choices. Now, when I see wealth values acted out, it makes my heart sink. I’ve seen ugly commentaries regarding charity shops, with outrage at the fact that these shops are selling items for more than a couple of dollars. Where is the perspective? Charity shops don’t exist to provide bargains to thrifty shoppers. They raise funds for the poorest and most marginalised people in our society, relying on the kindness of donations and the manpower of volunteers to raise funds. Money can bring out the worst in us, and I’d rather focus on things that bring out the best. By living a zero waste minimalist lifestyle, I do spend less than I used to. It’s not the reason why I live this way: it is simply a by-product of changing my habits. I buy and consume far less. If it cost more, I’d still be living this way, because I’m not doing it for the money-saving benefits. Telling people that living this way will save them money isn’t the whole story, and it does the movement a disservice. If they come in with the idea that they will save money without changing their habits, they’ll be sorely disappointed. Some parts of zero waste living do save money: stop buying bottled water, drink from the tap and save a fortune. Others don’t: stainless steel is far more expensive than plastic. Overall, it may balance out… but only if you also change your lifestyle. There are plenty of benefits to zero waste living and minimalism that are immensely rewarding, that make us better citizens and happier people. That’s where my focus lies. I don’t want people to choose zero waste living or minimalism because they think they will save money. That’s not what it’s about. I want people to make these choices because they believe in their hearts that it is the right thing to do. Now I’d love to hear from you! What are the benefits that you get out of pursuing a life with less? Were there any that you didn’t expect? What values resonate most strongly with you, and how does the way you live align with that? Have you ever put something ahead of your values, and how did it make you feel? What factors do you consider when you make choices? Do you disagree, and think that talking about money-saving has a valuable part to play, or do you agree that it’s best to stay clear on any mention of wealth and talk about other benefits? Anything else that you’d like to add? I really want to hear your thoughts so please leave me a comment! This is a really tricky issue and something I think we need to recognise we are writing about from a position of luxury, ie sufficient affluence to be able to make a choice about a lifestyle. One of the perennial issues with the lifestyle that you and I have adopted is that it is generally very middle class and predominantly white. Engaging other communities, whether the extreme wealthy or very poor, involves specific messaging that is appropriate/sensitive to their circumstances. Those living in or close to poverty generally do not have a major carbon, water or waste footprint, but that doesn’t mean that they may not be concerned about environmental issues. To reach our to such individuals, we may need to use the language of money saving as a hook to start the conversation so that they can discover all the other wonderful things, like better health and community, that can accompany this way of living. Similarly, finding the trigger point to encourage the very rich, whose emvironmental footprint is likely to be much bigger, involves recognising what motivates and working with those motivations. Thank you so much for your comment Meg, and for adding to the debate : ) It is so interesting that you say that, because originally I wrote about that also. I decided to edit it out to keep the word count down, plus I think it is an entire blog post in itself and a few sentences wouldn’t do it justice. Yes, I agree completely, I am writing for people who have a choice, those of us who have our basic needs met and then some. I am in a position of privilege because I do have choices about how I live my life, and I think most of my readers are too (to different extents, no doubt, but I think all of us have our basic needs met). I am in no doubt that people in more difficult economic circumstances care just as much about the environment as I do (and you are right, they probably have a far lower footprint than me). I also think this lifestyle can be beneficial and worthwhile for everybody. However I have no wish to “hook” anybody in to a debate and I do not think it is my place to do so. I can only speak about what I have experienced. I spend less living zero waste because I used to spend much more on stuff I didn’t need and on convenience items. I have never had to worry about finding food to feed my family, or having the money to pay the heating bill. I can only begin to imagine the difficulties that come with not having choices. I do not think that speaking from a position of privilege and advocating mason jars and ethical hemp clothing is really going to inspire anyone who has real needs that aren’t met, and I do not want to do the zero waste movement or the minimalism movement a disservice. In the same way, I would never attempt to persuade the super-wealthy… I have no idea what their journey is about, and I would be only be making assumptions about a lifestyle I have never really experienced. Definitely a topic to discuss over tea ;) I am very much coming at this from a behaviour change researcher perspective interested in how we can leverage social psychology and marketing know-how (which corporations use for sales purposes) to scale up to start to tackle environmental challenges on a scale needed to slow existing positive feedback loops. One of the common criticisms of sustainable lifestyle commentators in the blogosphere and on social media is that we are an echo chamber and just talk to the converted. Whilst there is merit in this as it supports and reinforces new habit development, I do actually think it is also our place to try to reach out to others where possible, as NGOs are stretched and governments mostly just pay lip service to these issues. I agree, making assumptions is not a helpful basis for such engagement, whereas asking questions and inviting suggestions might be. Also, I think the plurality of solutions needed for a sustainable future will have to include a way of addressing the economic polarisation both between countries and within our own societies. That is obviously an issue we as individuals can only very indirectly shape but in light of the “pejorative” language used to discuss the less affluent (in the UK at least), maybe we need to take leadership in articulating that there is a role for everybody in shaping our environment and society. I love everything you’ve said, and agree with the principles you’ve mentioned. I guess I should have clarified (although in my defence, the title is already pretty long!) that I am talking about writing on this website, for my audience. There is a place for reaching out to others, definitely: I would definitely *consider* talking to a different audience about money-saving if I were asked, so long as it was clear that I would be talking about my own experiences and not trying to offer advice or persuade people into this way of living solely from a cost perspective. I’m wary of saving “live the zero waste lifestyle and save money”, as the decisions I make are not based on the lowest price. I can think of choices I’ve made that are cost effective (not buying stuff I don’t need!) but I’m also aware that others were not – and fundamentally, that I have a choice. I started minimalism and energy-saving mainly as a money-saving excercise when I stopped working full-time but it didn’t take long for the values and principles to become more important than the pounds I’d save. The whole process became really addictive as well! Living by your values also makes life and making choices so much easier. In my case, for example, I simply won’t buy any eggs if no organic free range ones are available, or buy a take-away coffee in a café if they only have single-use cups and my travel mug is at home. Of course, things are rarely black or white (that would be too easy!) and I’m very aware I could – and probably should – do more. However, I also think that if we all are more aware of what we do and stop to think before we make decisions, that would make a huge difference. I’m using the money saving angle in my work (I work for a UK personal finance website) to try to encourage people that use our site to do the right thing environmentally too, taking the next step naturally, just as you have. Agreed Andrea! I think if people are yet to begin their sustainability journey it is a good place to start… and then hopefully they appreciate the other benefits and it becomes more than the money. 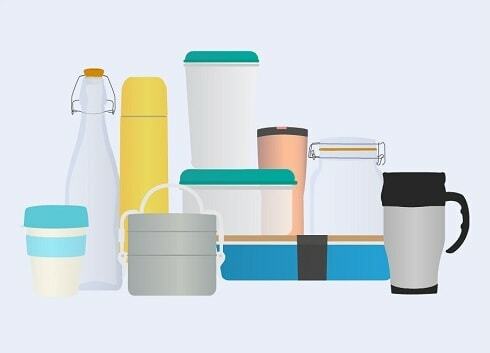 I think it’s pretty full-on for someone who has never even thought about green living to entertain the idea of quitting plastic, and the reusables can be an expensive up-front cost… and saying that it saves money sounds dubious to someone starting out. The cost-savings come with time… and by that point, hopefully they are hooked! 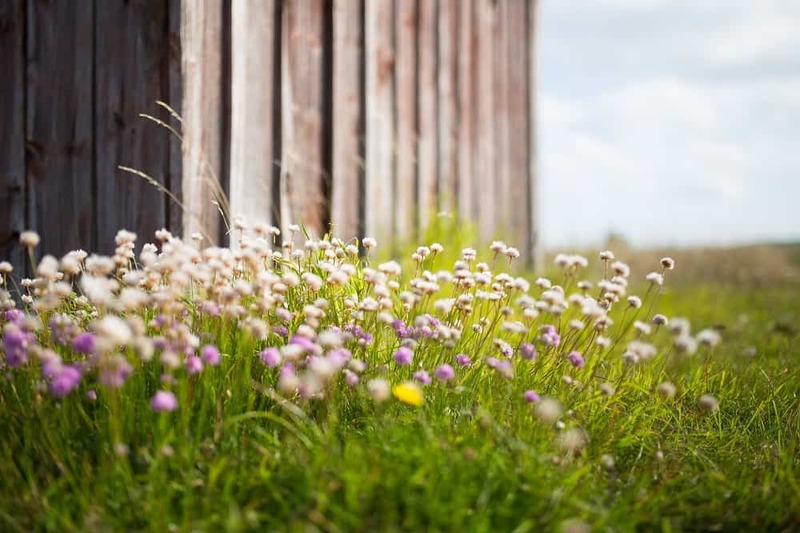 I think with money-saving it’s less about focusing on a lifestyle and more about focusing on individual actions to begin the journey – like drinking from the tap over buying bottled water, or growing herbs over buying them, or whatever. Small steps! I love your thoughtful comment Min! I would agree that in the beginning of my adult life some of the green eco-friendly ideas I adopted were in part because of the money saving – like growing my own vegetables. But like you, I quickly found out that the enjoyment was worth far more than the money saving, and there was a shift in values! I think a focus on money-saving can be a good starting point, but it will only take you so far on your journey. 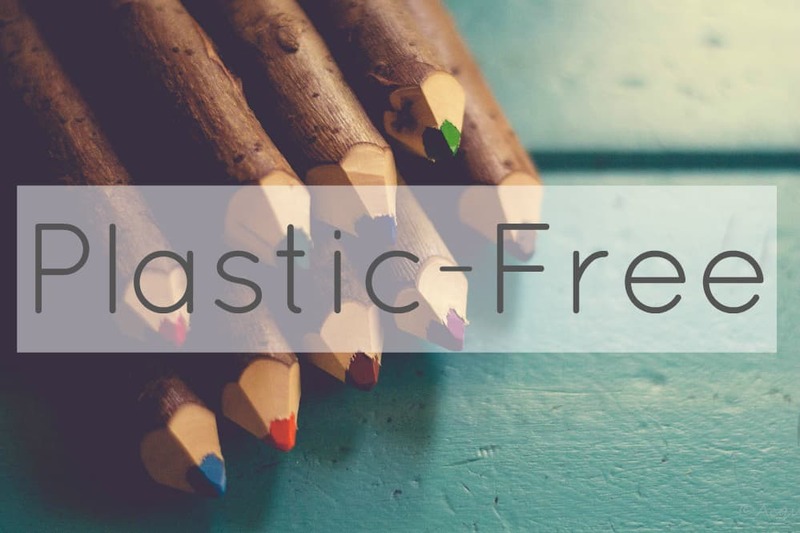 My decision to quit plastic and become a minimalist was never about the money… and that’s what I write about here. 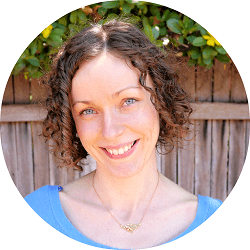 When I think about the people I write for who read this blog, they are already wanting to live a little greener or more sustainably – my aim is to inspire them to take the next steps, which is thinking about what they truly value. I agree – it does make decisions much more black and white (even if the issues are not)! Is this in line with my values – yes or no? Then I see if I can afford the ethical sustainable option, and if not, I don’t spend the money. Great Post.. I agree with you Its more than money saving. There are so many benefits. But, I have found (along with living a vegan lifestyle) other people seem to think living these lifestyles are more expensive! Purchasing Real food and sustainable products is apparently really expensive ?!?! Which is why I like to drop in on the occasion that I’m saving money, what I have purchased is A lot cheaper etc. I personally think, sadly, most people don’t want to change their lifestyles because they believe (probably due to the marketing of Processed food and single use items, special offers etc) this lifestyle costs more. Oh Min, this did make me laugh because my mum is always complaining about the price of stamps and she has far too many handbags! (Hi mum, if you’re reading : / ) But yes, I agree completely. Thanks Donna! I think it’s kinda funny (except it’s not funny at all) that those of us who live these lifestyles feel that they aren’t more expensive (often quite passionately) yet those who see it from the outside just can’t believe us! I guess that’s my point – I’m not out to try and convince the skeptics and I don’t think the money-saving argument is an easy one to win. But as I said to Andrea above, I think there’s a difference between trying to persuade someone that a lifestyle costs less and suggesting money-saving tips as simply an idea for a single action. The lifestyle argument is a hard argument when the other person has no experience of another way of living and tries to imagine it fitting into their current way of living. But an action is easier and a good way to get people to change some of their habits – for example, bulk bin stores mostly cost less than pre-packaged stuff. I guess with the lifestyle, some things are cheaper and some things are more expensive but they balance out over time. To an outsider, how can you say buying glass is cheaper than plastic – it isn’t, so we can’t. (The fact it doesn’t discolour and go brittle and leach chemicals is a different matter.) So I do think there is a place for money-saving tips – just maybe not when talking about the lifestyle as a whole. I think there is argument both for and against mentioning money saving alongside a sustainable lifestyle. 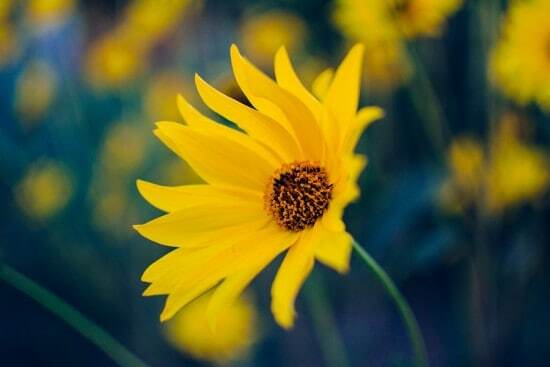 It is more important to me to live in a way that reflects my values, than to be saving money, but at the same time, not shopping unnecessarily, growing and making food from scratch, and all those other activities as you have mentioned above, allow me to not go out to work and live on a small residual income quite happily. In fact I love my lifestyle. It’s peaceful, creative and fulfilling. It means that I have enough time now to devote to other eco projects (currently working to make our Growers Market plastic bag free). A fellow blogger posted about a conversation she had with a colleague about how her lifestyle of reduced spending, making food from scratch etc allows her to work part time because of money saved – to have her colleague come back to her some weeks later and thank her for the conversation that has changed her life! I don’t really talk about the money saving side of my lifestyle either, because people are inclined to think you are just tight with money, or maybe even broke. They might not think about the fact that it is a choice to live this way because it is better for our health and well being, and for our world. Thanks for your lovely and thoughtful comment Anne! I agree that there is a place for having those conversations, and I made the same choices when I first decided I wanted to work part-time (to have time for all the things I was passionate about), so I know exactly what you mean. I think as a story it works well – I was in this situation, I made these choices, and this was the outcome – but saying “zero waste living will save you money” is a bold statement that I think misses out a lot of the steps in the middle. I think this is the reason that people can be skeptical of the idea: they try to imagine making the changes in their current way of living and it doesn’t make sense to them. On the other hand, when well-off people come across the idea, they may think that they don’t need to save money, so why would they adopt the lifestyle? But who doesn’t want to be happier and more fulfilled? This has struck a chord with me. I too started off (I’ve still a very long way to go) for the most part as money saving. Although Plastic Free July prompted me to think more about waste. The more I travel down this road the less it has become about money. Thank you for summing up how I feel. Thanks for commenting Clare. I think reconnecting with your values is one of the biggest steps in the journey, so you’re a lot further down the path than you’re giving yourself credit for! I have often presented the moneysaving side as a way to fund buying an energy-saving appliance or a solar panel, pay for a master recyclers’ class, donate to an environmental organization, etc. It makes sense to think about money-saving if you’re thinking about money-spending, for sure! Especially if you have a limited budget and want to make funds stretch… or for things with big upfront costs, like solar panels. I guess I would make the decisions based on what I value (would I like to get solar panels and use less fossil fuels? Yes. Would I like to go on a course and learn new skills? Yes). Then ask myself, can I afford it? This is where the money-saving question comes in as it links to affordability- especially if it is a big upfront cost. If not, is there a compromise or do I go without (or wait for another time)? 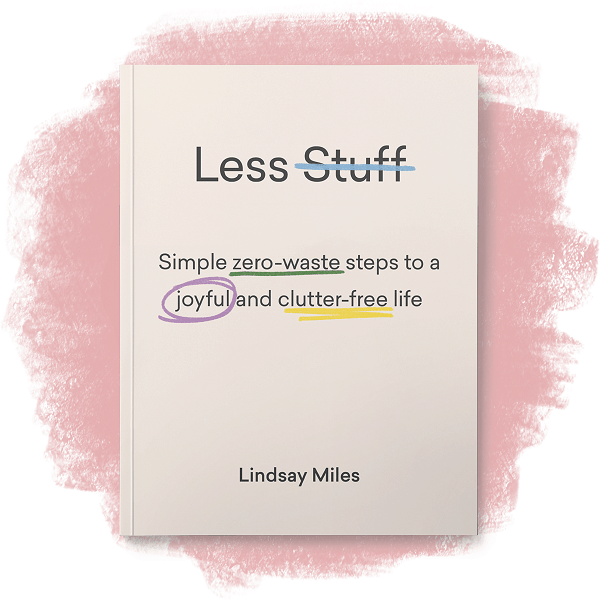 I’m just taking my first steps toward zero waste/minimalism and this is one of the most encouraging posts I’ve read so far. I realize that everyone is in their own situation and has different motivations, but your thoughts on why it isn’t about money for you resonate deeply with me. I’m so grateful you shared these words and I’m glad I found your site! This is a thoughtful post. I don’t think that zero waste and minimalism are necessarily on the same page with how they relate to finances and perhaps this is worth exploring in greater depth? The motivation behind each movement seems slightly different to me. In some respects, having greater financial resources can afford someone the luxury of time, which may enable them to consciously explore zero waste and minimalism. Someone with fewer financial resources may be more minimalist out of necessity than choice. Thanks for your comment Pia. I’m intrigued by your ideas… and I’d love to hear more! I guess I consider the motivation for both lifestyles to be very similar – they are both about less. Actually, I would argue they are both about less waste, but waste meaning different things perhaps… in the case of zero waste the focus is on landfill waste, and with minimalism it’s a focus on not wasting resources (in the form of stuff), or time (working to pay for stuff or look after stuff). But I think intentional living is at the heart of both. I agree that if you have the luxury of time, or greater financial security it may be easier to explore these lifestyles… not because they are expensive but because when we are learning, we make mistakes and these can cost us. It is always easier to make choices if there is less pressure, whether that is time or money. 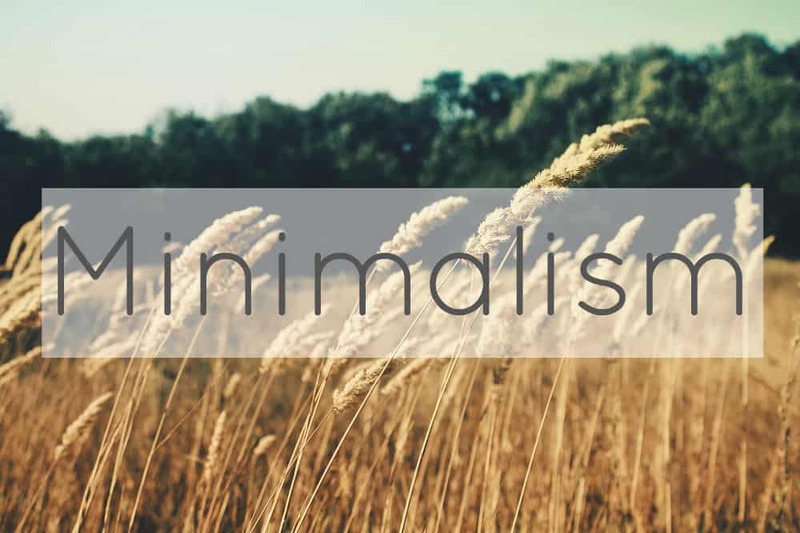 I agree that someone with fewer financial resources may have a more minimal lifestyle, but what minimalism means to me is the conscious decision to choose less. Knowing that they could have more, but choosing not to, and being happy with that choice. If someone is a minimalist out of necessity, that implies to me that they haven’t made the choice – and if more financial resources were available to them, they possibly would not be minimalist at all. As a side note an interesting side effect of going zero waste for me was the weight loss from just eating better (not less)- almost 15kg!! Thank you so much Lisa! Very well put. I think your side note actually sums up one of the other reasons why I I don’t like to engage in the money-saving argument – it sounds unlikely from the point of view of people looking in. Imagine if you said “zero waste living is a great weight-loss lifestyle”… people would just think you were crazy, and you kind of discredit the lifestyle with statements like that. Not because it’s not true, but because you’re missing out a load of other steps along the way: buy whole foods, stop buying junk, eat more veggies etc. As a personal story it’s a great one, but as a headline it’s not so great! I agree with everything you and the others have said here! I started making changes to fit with my values (I’ve always been an environmentalist at heart) but didn’t start making major changes until I found myself home all the time due to chronic illness. At this stage I made even more changes for both the money saving (changed to a one income family) and the environmental and health benefits I could find. These days I continue to make changes to find a way to live a simple, sustainable and meaningful life with my chronic illnesses. I’m slowly adding in more homemade items (I made my first loaves of sourdough bread today) and removing more activities and items from our lives that just don’t fit with my values. I try to inspire others to make changes by finding ways to link the environmental/sustainability outcomes I would like to see in the world with peoples own values systems. My paid job involves working with individuals and communities (mostly through Councils) to achieve sustainable living outcomes. I feel privileged to have the support of my husband and the resources and skills to incorporate my values into each aspect of my life and I love finding ways to help others identify and live by their values as well. Your last paragraph captures how I feel as well. I think if we can have conversations based on values then we can make lasting change in a way that increases happiness and well-being. When I was young and kinda stupid I smoked. About half a pack a day. For about 6 months or so. Then one day I did my math and almost got a heart attack to find out how much MONEY I was blowing. I quit right away and never smoked again. Was my motivation something to brag about? Nope. I was not concerned about my health, someone else’s comfort, pollution or whatsoever. I was only concerned about loosing money. But how differnent is the outcome? I don’t care if people are attracted to minimalism because they think it’s a money saving way. As long as they choose green, ethical, trash-free, plastic-free, sustainable living I’m fine no matter what drives them into this. I think it’s not a matter of beliefs or ethics where a motivation can be of the same value or even greater than the outcome. Thank you so much for your insight and for sharing your story Gayla! And of course you’re completely right – green, ethical, trash-free, plastic-free, sustainable outcomes are definitely the ones we’d like! I agree – it doesn’t matter to me why people sign up. I just don’t want to spruik the money-saving aspect myself – at least, not as a lifestyle choice. To encourage certain behaviours I think framing it as money-saving can be very useful because there’s a clearly defined outcome – do this and it costs you less. I guess I’m just wary of trying to convert non-believers with the money-saving line. I feel like there are enough people talking about money who can do a better job than I can, and I’d rather talk about happiness, or health, or community. It just feels right to me. But if people are driven by the money-saving aspect, I am definitely not stopping them! I might prefer it to be because they care about the planet, but if the result is the same, then that can only be a good thing! Thanks Ella, and I loved your thought on this too. Yes, I’d agree with your comment about being righteous. The way I see it, my audience are people who care to some extent already, but maybe haven’t thought about things too deeply. Where I was, pre- 2012! I’m not out to convert the non-believers. There are some people who don’t care and won’t change. 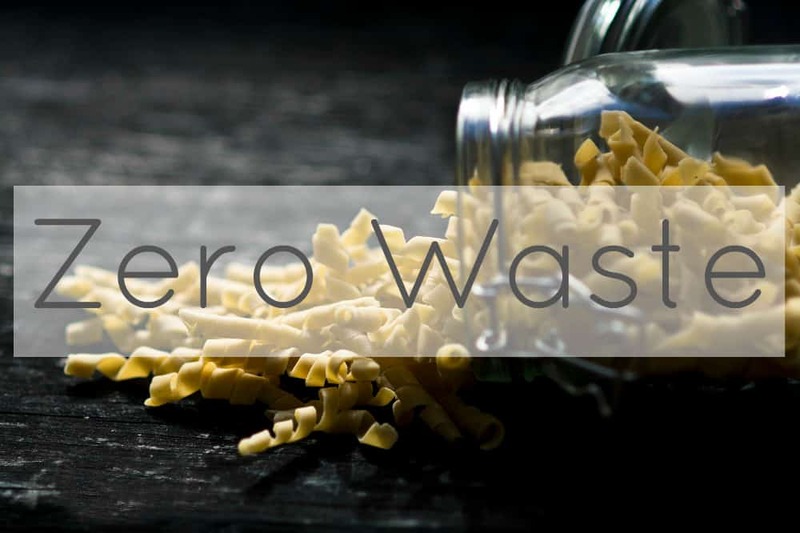 If I was to say ‘zero waste is better for the environment’ they’d say ‘I’m sure it is but I don’t care.’ Whereas if I say ‘zero waste will save you money’ they will say ‘you’re a liar because x product costs more in packaging than at the bulk store.’ I feel like it’s a false promise. 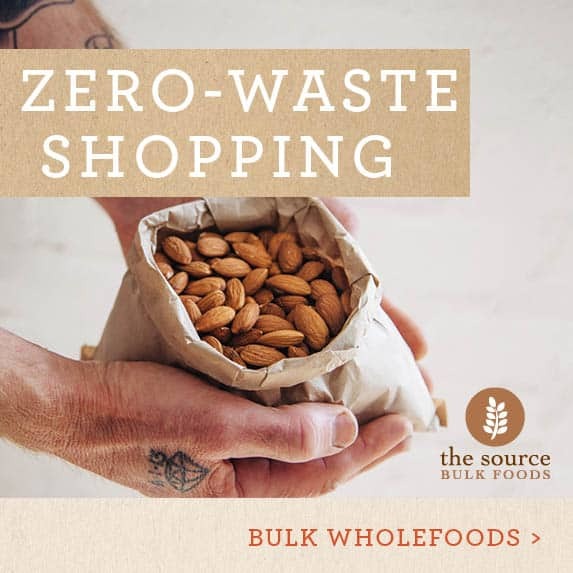 Zero waste can be cheaper, but only if you embrace the lifestyle of living with less and consuming less – not just the lifestyle of shopping at the bulk store. I hope that makes sense! Hi Satori, thanks for your comment! I think you misunderstand what I mean by “wealth”. By wealth I don’t mean money, or income, or savings. I don’t mean needing to budget or reducing costs. I don’t mean investing in great things. Wealth (as I understand it) is the abundance of money – being “rich”, or richer than others. I guess what I’m saying here is that saying “living zero waste means more money for you!” appeals to the wealth value in all of us. And I don’t think that is necessarily a good thing. I’m saying, there are so many other reasons to make changes, and I choose not to focus on the money-saving one. Sometimes these choices will be the cheapest option, and other times not, but they are still worth considering. Thanks for your reply! Yes, I think, in part, I did misunderstand and yes, of course, it totally makes sense what you are saying! I know that sometimes living more zero waste ways isn’t always cheaper, at least not in the city and the way we want to live (ie. I *could* do without somethings, but I’d rather not, if I don’t have to, so therefore I spend more, and I’m talking general household necessities that I’m used to and make life easier.) I agree that choosing these kind of things (ie. refilling soap) is not as cheap as buying it in single use plastics. And that makes it look like we spend more, but really we are paying for more human practices (paying for community members to dispense things, instead of machines). And because of that, I’m willing to put my vote there with money. I just wanted to say, with my comment, that even if we did save money (I feel I do in other areas, such as buying clothes less often because they last way longer because they are made better and I choose wisely based on practicality and pieces that I love and know I’ll wear over and over again), saving money and therefore potentially having more, is a great thing! I feel I can do more things with the money I save, even if it means spending some of it on higher refill costs. It makes me feel wealthy to do so. Does that make sense? I don’t believe anymore (I used to) that wealth means more or rich or more than other people. I believe we all can be wealthy in a moderate way, if that makes any sense! In my opinion, we have to change the way we see and value wealth if we are ever going to move towards lasting and good change on the planet. To me, it really seems like alot of issues on the planet has to do with not valuing wealth in right and good ways! Thanks for all your amazing posts! I always learn something new!